Just a quick post as I am looking at a useful Nuget package Microsoft.GLTF.cpp and wanted to note down my quick experiment with it. For an unrelated project I wrote a c++ parser for the GLB format (binary version of GLTF) and wanted to replace it with something better. If you are unfamiliar with the format I reference it here http://peted.azurewebsites.net/holograms-catalogueloading-models/ where I used a c# GLTF loader within Unity and also you can find the GLTF spec here https://github.com/KhronosGroup/glTF/tree/master/specification/. To cut a long story short if you are working in the 3D industry you will most-likely have winced when people from other sectors bring up their industries open standard file format. GLTF is the answer to that and I suspect we should all get behind it. when loading in the sample GLTF Lantern file. 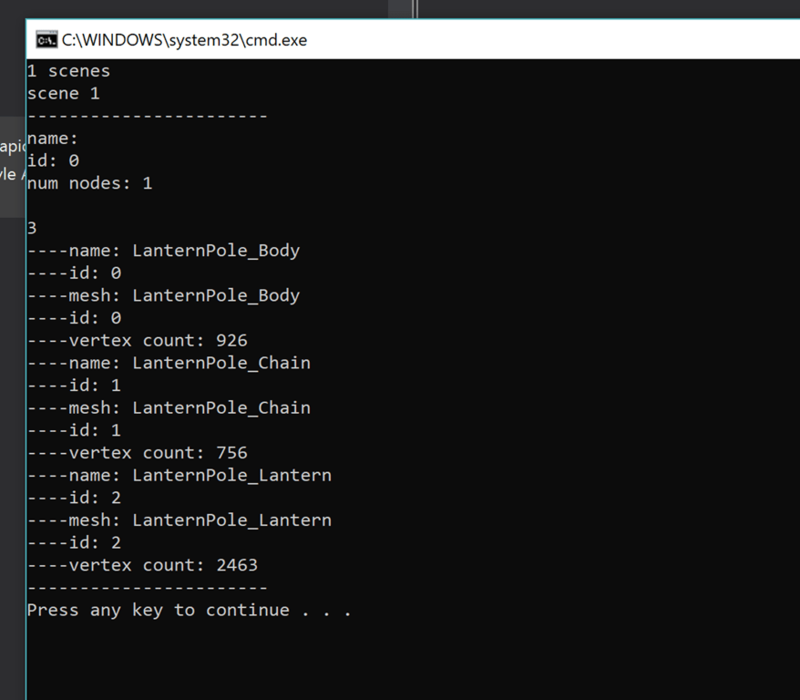 There are some reference models here https://github.com/KhronosGroup/glTF-Sample-Models where you can find the Lantern and others. Then, using the document to iterate and access the data as described by the spec above, mostly by looking up objects using their index into a list of objects, such as meshes, nodes and scenes, etc. The following shows a function that recurses through the scene graph Note, how the meshes are looked up using the mesh ID.